Next Post: Camouflaging the Bump with Cupcakes? Oh, I like this nice and rainbows hearts! 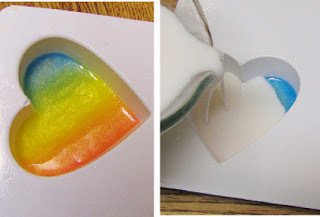 I’m not sure scientifically why the alcohol works, but it makes the soap layers bond together. Otherwise they may split apart later. Regarding how long to wait between layers, I let the first layer harden to the touch so the next layer won’t go through it. With the alcohol and a hardened first layer, you shouldn’t have any trouble with the layers bonding. Have fun! Question, why do you spray with alcohol? And how long do you usually let the first pour (colors) harden before adding the next layer? They (two soaps) stick together without any problems? 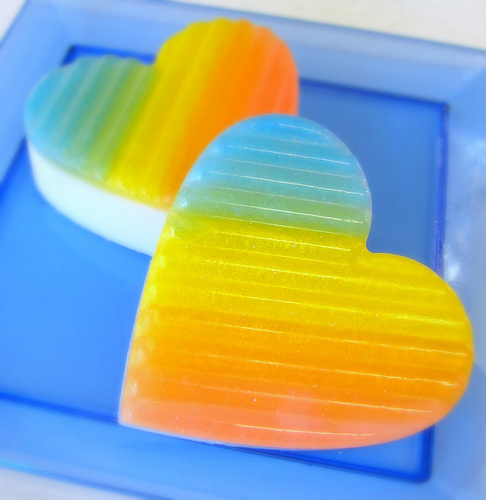 It is a beautiful soap! 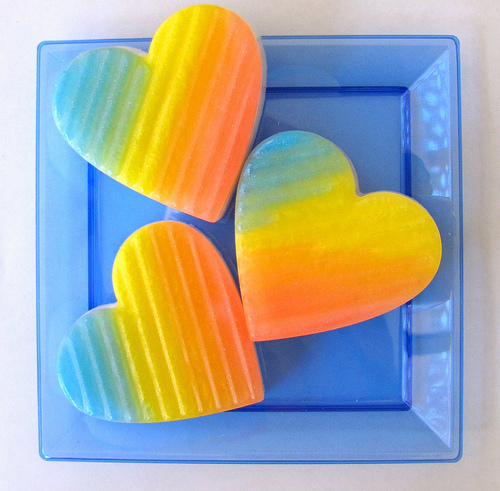 Wonderful hearts and rainbows!!!! This is a perfect soap for Valentine*s Day. I will do it for my Valentine. Thanks for posting this tutorial! !